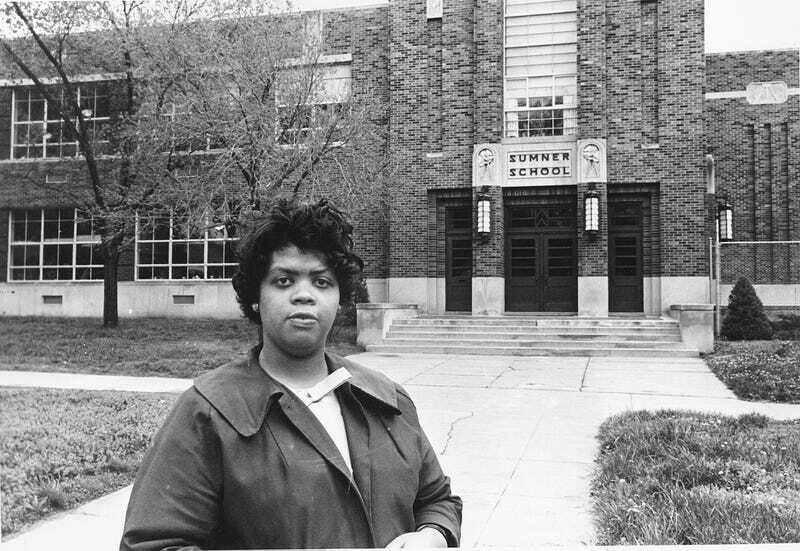 Linda Brown Smith stands in front of the Sumner School in Topeka, Kan., on May 8, 1964. The refusal of the public school to admit Brown in 1951, then 9 years old, because she is black led to the Brown v. Board of Education of Topeka, Kansas case. In 1954 the U.S. Supreme Court overruled the “separate but equal” clause and mandated that schools nationwide be desegregated. Linda Brown Smith (right) and her two children pose in their Topeka, Kan., home on April 30, 1974. Brown was born in Topeka on Feb. 20, 1942. The cause of her death has not been disclosed publicly at this time.